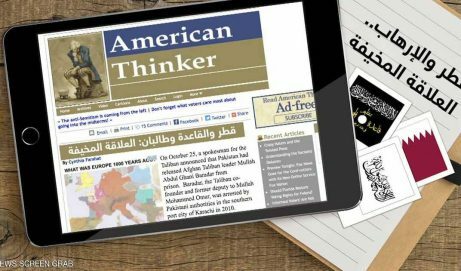 In an article for Middle East Quarterly last year, I established the historic and ongoing alliance between the current Egyptian military and the Muslim Brotherhood (MB). While the current military junta and the Mubarak regime before them have long encouraged the United States to believe a power struggle exists between the Supreme Council of the Armed Forces(SCAF) and the Brotherhood, the real fight for control of Egypt lies elsewhere. 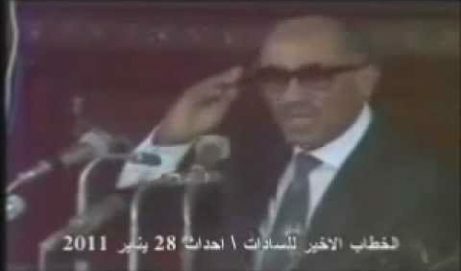 In July 2005, the former Supreme Guide of the Muslim Brotherhood (MB), Mahdi Akef publically gave Bay’ia (Islamic oath of loyalty) to Mubarak, and stated in an interview for Egyptian Magazine Akher Sa’a: “We support President Mubarak’s presidential candidacy, and I wish to meet with him.” This explains why the Brotherhood initially formally declined to join in the January 25, 2011 protest against him. Yasser El-Hodeiby a member of the MB Freedom and Justice and Party (FJP), stated in an interview with Almasry Alyoum newspaper on January 1, 2012 that the Brotherhood officially gave Bay’ia to Mubarak and his son Gamal, in 2005. Several salafist leaders in Egypt like Tal’at Zahran also admitted to have given Bay’ia to Mubarak and stated that Salafists will be giving Bay’ia to Field Marshal Hussein Tantawi, or any other Muslim president that continues to uphold the basis of Islamic Jurisprudence (Shariah). Similarly, Salafist leader Mohammed Hassan even admitted to getting direct orders from Egyptian State Security Investigations Service (SSIS). Khairat El-Shater, the MB political strategist and a previous presidential candidate of the FJPconfessed that the MB was not banned under Mubarak’s regime. He stated a year ago before an Islamist crowd in Alexandria, that the MB was banned for 20 years, from 1954 to 1974, but started the “second foundation” of the organization under President Anwar Sadat (1970-1981) in the mid 70’s. Shater affirms that the MB had absolute freedom under Mubarak and had substantial control of most Egyptian universities, villages, community centers, and cities all around Egypt with an office in every neighborhood. The MB’s presidential candidate adds that they the freedom they enjoyed under Mubarak reached its peak in the 90’s until Algeria’s militant Islamic Salvation Front (FIS) won more that 50% of votes in elections and a threatened Mubarak reacted by arresting some of the Brotherhood’s leadership. 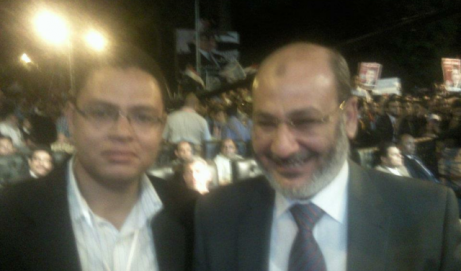 Suleiman also stated that he met with two of the leaders of the MB, Sa’ad el-Katatni and Mahammed Morsi -the MB’s current presidential candidate- to “sort-out” the revolution with them when he was Vice President briefly in early 2011. Which suggest that a deal was brokered to give them the parliament in Egypt’s past fraudulent make-believe parliamentary elections. In reality, since 1975,the Muslim Brotherhood has played a convenient role as the regime’s pseudo-opposition. But while they were freely allowed to assemble, meet and advance, their secular liberal, moderate Muslim and Christian compatriots were completely banned and in several instances severely persecuted. Indeed, as a fake opposition group, the MB played a major role in defaming, discrediting, infiltrating, and intimidating true dissidents who truly and publicly opposed this stealth bargain between the military and Islamist parties. The net result was that the tyranny of Shariah continued virtually unchecked while the USA and the West remained unaware, while the Egyptian regime radicalizes the political bargaining by offering the world a more radical option than themselves that they actively breed and inflate while wiping haunting down secular liberal dissent. Thus, the real political equation in Egypt is not now nor never has been the MB versus Mubarak’s regime or SCAF. It is the MB, SCAF, Salafists, and Egypt’s former spy chief Omar Suleiman, head of the The General Intelligence Services (GIS), versus Egyptian secular dissidents. Acknowledging the real war of ideas in Egypt and refusing to play the by the rule of this devious political game is the only way America can reclaim her role as a defender of those people seeking genuine liberty. In part 2, Cynthia examines the real struggle for Presidential power in Egypt between the leader of the Supreme Council of the Armed Forces, Field Marshall Hussein Tantawi, and intelligence chief and, under Mubarak, former Egyptian Vice President, Omar Suleiman.